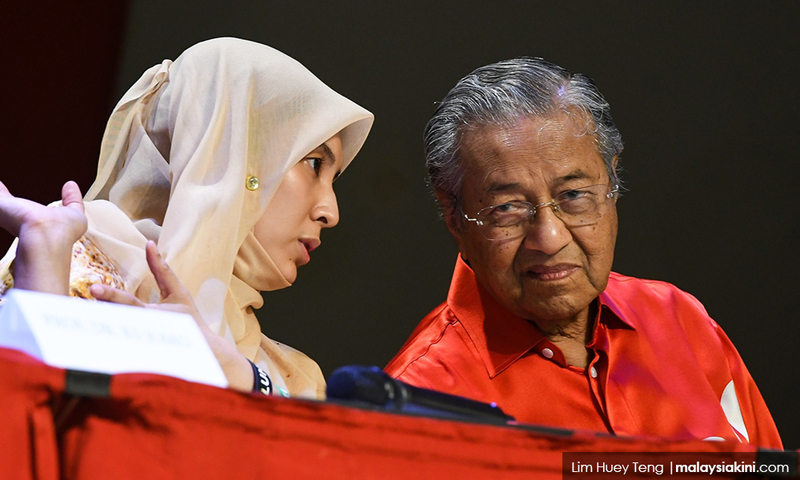 t has been a difficult year for Permatang Pauh MP Nurul Izzah Anwar, as she revealed to Singapore’s Straits Times how she nursed a “broken heart” brought on by Prime Minister Dr Mahathir Mohamad’s return to power. “Oh, it’s been so turbulent and tumultuous. “I’ve learned so much, but I think my heart’s been broken as well, somewhat,” said Nurul Izzah, who recounted Mahathir’s first stint in power when her father, Anwar Ibrahim, had served as the deputy prime minister. Quizzed on the cause of her broken heart, Nurul Izzah told the Singapore daily it was not easy having to once again work with the man who brought down her father nearly two decades ago and sent him to prison. “I mean having to work with a former dictator who wreaked so much damage, not just on our lives, but the system. “It was not easy,” she admitted, although Anwar himself had openly made peace with Mahathir through a historic handshake three years ago, and is once again positioned as Harapan’s prime minister-in-waiting. According to the Straits Times, Nurul Izzah still speaks with emotion about Anwar’s innocence and how imprisonment had taken him away from the family – including her mother, Deputy Prime Minister Dr Wan Azizah Wan Ismail – and her five younger siblings. “Insya Allah,” she said, when reminded that Anwar would eventually assume the country’s top post. Posted in Anwar Ibrahim, DAP, Goverance, Malaysia, Malaysiakini, Nurul Izzah Anwar, Pakatan Harapan, Parti Pribumi Bersatu Malaysia, PKR, Politics, Tun Dr. Mahathir Mohamad, Wan Azizah Ismail-- Deputy Prime MInister. 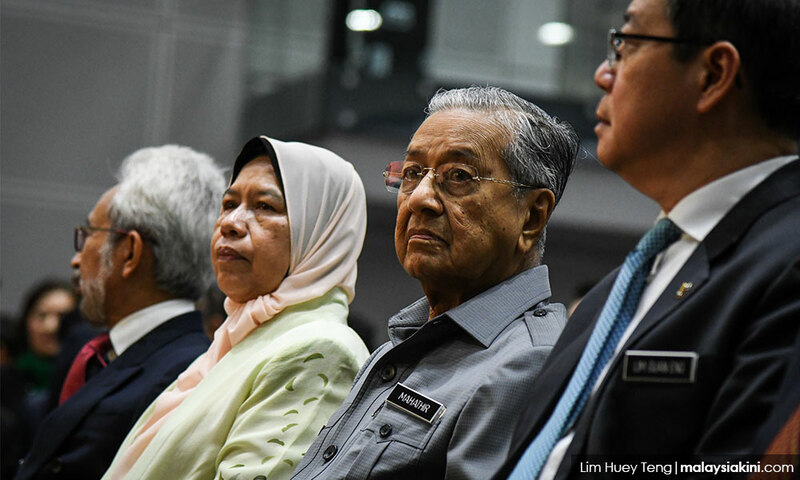 Semenyih result sends a message to Harapan, says DPM–What Massage, Madam Deputy Prime Minister? Honey moon is over. Voters want results. 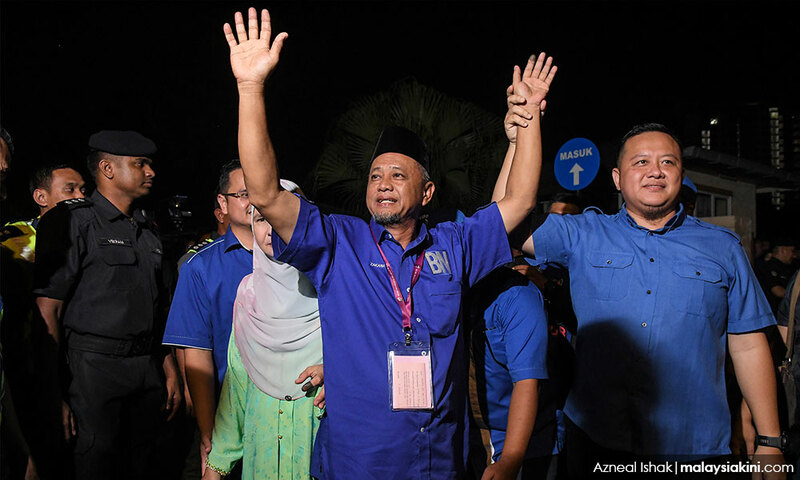 Semenyih result sends a message to Harapan, says DPM–What Massage, Madam Deputy Prime Minister? Honeymoon is over. Voters want results. 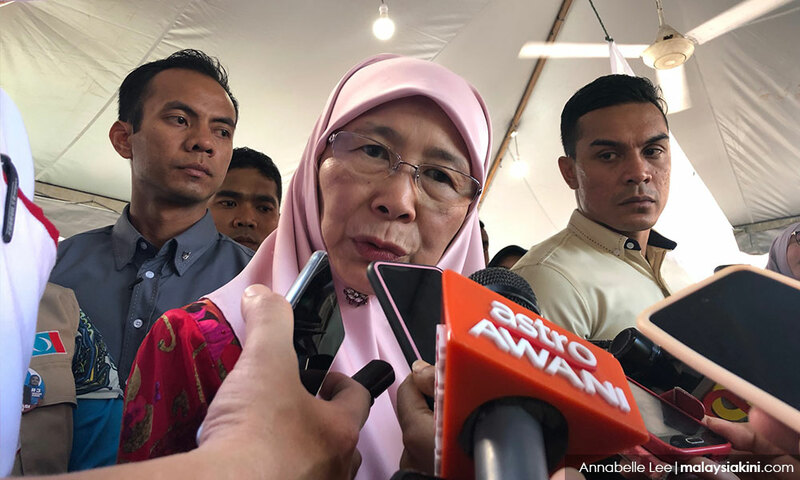 The result of the Semenyih by-election is a message for Pakatan Harapan to study issues deeply, Deputy Prime Minister Dr Wan Azizah Wan Ismail said today. Wan Azizah, the Harapan president, said the coalition has to know what is needed to win in a by-election or a general election. “We have a democratic system, we have a choice and we want the people to know that we are doing our best for them,” she told reporters after the 2019 Chinese New Year open house for Port Dickson. She said this when commenting on the result of yesterday’s by-election, which saw BN candidate Zakaria Hanafi winning the four-cornered contest a majority of 1,914 votes. Zakaria defeated Harapan candidate Muhammad Aiman Zainali, who polled 17,866 votes, PSM’ Nik Aziz Afiq Abdul (847 votes) and independent Kuan Chee Heng (725 votes). 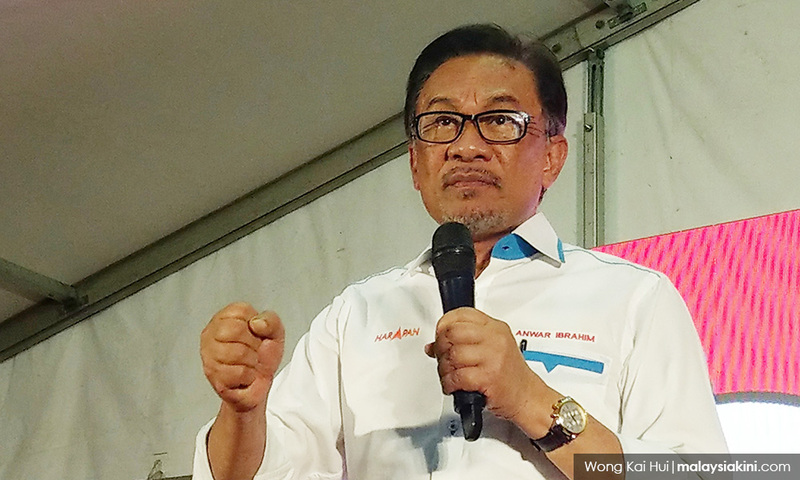 Meanwhile, PKR Ppresident Anwar Ibrahim said the results of the Semenyih polls reflected the feelings of the people, especially those of the Malay community. “We must take (the sentiments) into account, but we must continue with our tasks. “I am confident that with a little time, the people will understand why we take necessary measures in implementing our programmes. Anwar said that in the democratic process, the government respected the decision made by the people. “The Selangor government is still strong under Menteri Besar Amirudin Shari and the federal government under Prime Minister Dr Mahathir Mohamad. “It is my opinion that Malaysia must continue with the spirit of the (Federal) Constitution, which promises to preserve the position of Islam and the Malays, but the government must also be firm in preserving racial harmony. “Harapan must represent the sentiments and needs and aspirations of all races,” he said. Asked whether Mahathir’s aura had disappeared following the two straight by-election defeats, Anwar said it was inappropriate to make such an interpretation. “Because Cameron Highlands is not a seat held by Harapan, we accept it. “The Semenyih by-election gave a picture that there are several problems that we have yet to resolve,” he stressed. Earlier the Port Dickson MP said the government under the leadership of Mahathir was endeavouring to bring changes to the people, but it was not possible to see the outcome within a period of several months. “People ask me what is the biggest success achieved by Harapan under Mahathir. Harapan Deputy President Lim Guan Eng, meanwhile, said that the coalition accepts its candidate’s failure to defend the state seat. Lim described the result as the right and voice of the people in selecting their representative in the area. “I accept the result from the people. This is the people’s right and voice. “The expectation is that BN will fulfil their promises and statements made in the by-election. “For Harapan, we will continue to unite the people,” he told reporters after an event in George Town. Posted in Amanah, Anwar Ibrahim, DAP, Elections, Malaysia, Malaysiakini, Pakatan Harapan, Parti Pribumi Bersatu Malaysia, PKR, Tun Dr. Mahathir Mohamad, Uncategorized, Wan Azizah Ismail-- Deputy Prime MInister. 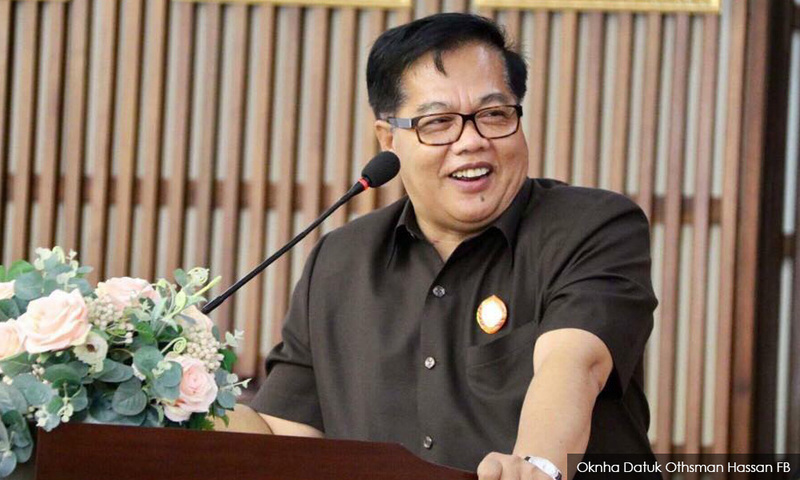 The incident involving 47 Malaysians detained at the Banteay Mancheay prison in Cambodia should serve as a lesson for everyone, said Special Duties Minister in the Cambodian Prime Minister’s Department Othsman Hassan. He said such a mistake should not be repeated in the future as the lucrative salary offered was too good to be true. “If it is true that such lucrative salary to be paid, certainly the Cambodians will be employed first,” he said this during the symbolic handover of 47 detainees from the Cambodian government to the Malaysia and Sarawak governments in Siem Reap today. Othsman represented the Cambodian government while Malaysia and Sarawak were represented by Sarawak Welfare, Community Wellbeing, Women, Family and Childhood Development Minister Fatimah Abdullah. Also present were Santubong MP Seri Wan Junaidi Tuanku Jaafar, Temporary Charge de Affairs at the Malaysian Embassy in Phnom Penh Ruzaimi Mohamad and director of the Sarawak regional office of the Foreign Ministry Deddy Faisal Ahmad Salleh. Meanwhile, Fatimah expressed her gratitude to the Cambodian government for providing good cooperation to the Malaysian government during the negotiating process to bring home all the detainees. “With the power of Almighty Allah we have met with people such as Datuk Othsman and his friends who are sincere in helping us to secure the release of the detainees, as well as the Prime Minister Tun Dr Mahathir Mohamad, Deputy Prime Minister Datuk Seri Dr Wan Azizah Wan Ismail, Sarawak Chief Minister Datuk Patinggi Abang Johari Tun Openg, Foreign Minister Datuk Saifuddin Abdullah and Foreign Ministry secretary-general,” she said. Fatimah said the Malaysian government was in the midst of arranging the transportation to bring all 47 Malaysians home. “Initially, we are planning to bring them home in stages, but it is better if all can return home in one group,” she said. Posted in ASEAN, Cambodia, Diplomacy, FM Saifuddin Abdullah, Foreign Policy, Goverance, Hun Sen, Malaysia, Malaysia-Cambodia Relations, Malaysiakini, Public Accountability, Rule of Law, Tun Dr. Mahathir Mohamad, Wan Azizah Ismail-- Deputy Prime MInister, Wisma Putra. Orang Asli Development: A New Starting Point Needed. It is time to stop playing politics with their future. The neglected and humiliated original Malaysians. Time to stop playing politics with their future. In the last few weeks there has been an unusual flurry of press statements drawing attention to the Orang Asli community. They include the announcement of a national conference to be held on January 11 to discuss proactive proposals to resolve the issues faced by the 200,000 Orang Asli in our country. The conference – which seems to have been aborted – was to have been preceded by a roundtable discussion on January 6 to identify the primary issues faced by the community, including rights to land, infrastructure access, education, the digital gap and youth empowerment. Simultaneously, the Deputy Prime Minister, Dr. Wan Azizah Wan Ismail during a visit to Cameron Highlands declared that the Government was studying the need to create a comprehensive development plan in line with that of the International Labour Organisation (ILO) Convention 107 on Indigenous and Tribal Peoples which encourages governments to involve Indigenous People in development projects and provides guidance on the protection of tribal people. Observers may be forgiven if they have linked these announcements to the coming Cameron Highlands by election. Orang Asli votes comprise over 20% of the estimated 32,000 voters for this parliamentary constituency and are perceived to be a key swing factor in the much watched election taking place on 26 January. Another Ditched Pakatan Harapan Promise? But perhaps the Orang Asli voters and the larger community in the country may want to give the benefit of the doubt to the new government in view of the promises contained in the Pakatan manifesto on the preservation of Orang Asli customary land rights and concern for their welfare and development. Will this be one key election promise made by Pakatan that can be realized without too much delay and controversy? After all, examination of the economic and socio-cultural indicators available including infant and child mortality, life expectancy, educational levels, income levels, etc. – and there can no dispute over them in respect to those of this minority community – point to the shameful reality that 60 years after independence, the Orang Asli community – indisputably the first peoples in the Malay Peninsula – remain the poorest, the most marginalized, and the most dispossessed of home, land, means of subsistence, history, language, culture and identity. To expedite the process of reintegration of Orang Asli into the mainstream of society, it is imperative that the old template for resolution of the community’s problems be discarded and a new starting point of reference is established to restore the rights and status of our first peoples. Ratify ILO convention 169 on indigenous and tribal peoples in place of ILO convention 106 which was introduced more than 60 years ago. The newer convention 169 which came into force in 1991 but which Malaysia has yet to sign on has been found necessary in view of the worsening developments in the situation of indigenous and tribal peoples in all regions of the world. 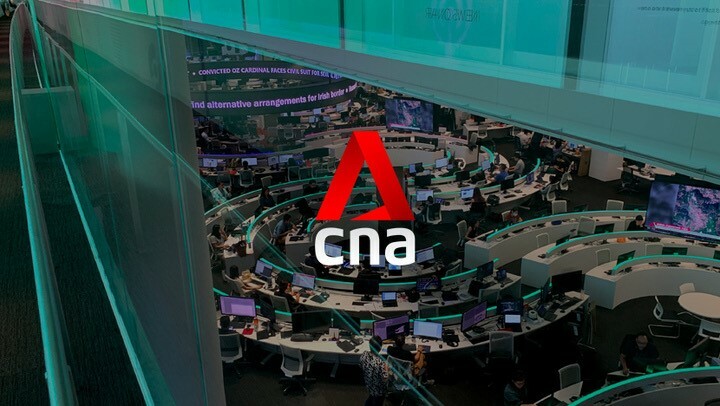 This has made it appropriate for countries to adopt new international standards and to remove the assimilationist orientation of the earlier convention. 2 Resolve the land problems of the Orang Asli communities by recognising their ownership right to customary and ancestral lands and providing them with permanent titles. This can begin with analysis of land office, survey, mapping, forestry and other archival records of British colonial rule as well as the records of the post-colonial government which can establish the boundaries of areas where the Orang Asli have had their traditional settlements and hunting-gathering territories; and which,during the colonial period, were demarcated and regarded as Orang Asli territories. 3. Honour the Orang Asli by recognizing their rightful place in this country through a national apology or a similar declaration from the highest level of government expressing regret for the historical injustices done to the community; pledging and honoring to right past wrongs committed during the colonial and post-colonial era; and promising action to build a sustainable and meaningful future for the community. To date national political apologies or official expressions of remorse have taken place in Australia, New Zealand, Canada, United States of America, Norway and Sweden. 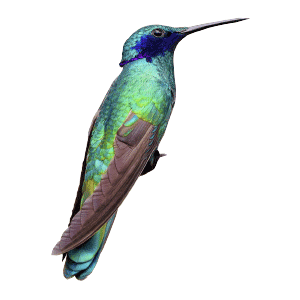 Similar expressions have also been recently made by political leaders in some Latin American countries with indigenous communities. A declaration to this effect would be a significant first for Malaysia in the ASEAN Community while we would be the second nation after Taiwan in Asia to provide such a political initiative. This move has been seen by scholars researching the topic of apologies to indigenous peoples in comparative perspective as having the merit of putting things on record and as a prelude to reconciliation and correction of ethical flaws in the state political culture. More importantly to me, an official expression would demonstrate the nation’s commitment to respecting human rights, and upholding justice, equality and non-discrimination. Posted in Character and Integrity, Civil Society, Human Rights, Malaysia, Pakatan Harapan, Parti Pribumi Bersatu Malaysia, Politics, Tun Dr. Mahathir Mohamad, Wan Azizah Ismail-- Deputy Prime MInister. Professor Ahmad Fauzi Abdul Hamid of Universiti Sains Malaysia’s damning statement that Muslims in Malaysia are “slowly but surely becoming radicalised” should not be taken lightly. I knew this was coming as ominous signs are so plentiful and obvious that even the most cynical can no longer dismiss them as inconsequential. 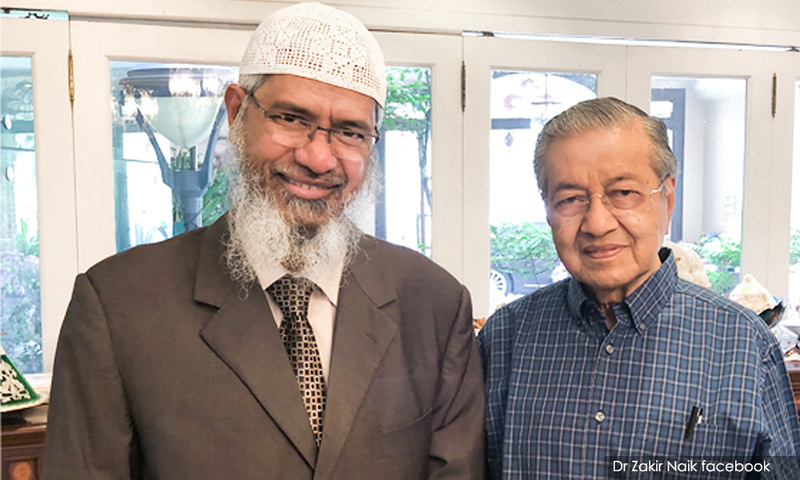 The Islamic scholar implored that the new Pakatan Harapan Government take precautionary measures to arrest the spread before things get out of hand. “Before the situation becomes untenable like what is happening in Afghanistan and Pakistan, it’s better to nip the problem in the bud. We need to do whatever possible to see it done. Revamping the school curriculum is one possible way to correct the situation,” he said. Islam preaches compassion, love and tolerance but what we see in the Middle East, Pakistan and Afghanistan is something else. All of those benign virtues associated with Islam are being systematically destroyed by people who use religion for their very own selfish ends. I concur with the academician that religious extremism has no place in a multi-ethnic and multi-cultural Malaysia. The radicalisation of Islam in Malaysia, incidentally, did not happen in a few short years. It is like an underground fire that is fueled by methane gas. You don’t see the flame but the burning continues and the heat permeates through the vents. It becomes volatile and deadly once the flames reach the surface and start to engulf the surrounding. This is the scenario I can think of. The term “liberalism” is often bandied about. If being a Muslim and you don’t conform you are a “liberal” and is regarded an outcast destined to burn in hell. The naivety is simply mind-blowing. The only similarity I can allude to is the Inquisition in 12th century France which later spread to Spain and Portugal. The objective of the Inquisitors was to “combat dissent and public heresy committed by baptised Christians.” And the targeted groups were mainly converts who were erroneously labelled as suspects due to the “assumption that they had secretly reverted to their former religions. Incidentally, the last public execution of the Inquisition was in Spain in 1826 when a school teacher was garrotted (strangled) for being a disbeliever and attempting to spread his belief to his students. Things were definitely different, pre- and post Merdeka in 1957. And being someone from that era I can safely vouch for it. In 1979, following the Iranian Revolution that helped catapult Ayatollah Khomeini into power, the equation changed dramatically. The revolution sparked interest in Islam all over the world. Iran is a proponent of the Shia form of Islam which is strongly opposed by the Sunnis in other parts of the Muslim world led by Saudi Arabia. The oil-rich Saudi government, in wanting to counter the spread of Shia teachings, took advantage of this change offering scholarships and money to institutions and charities in the developing Muslim world. Malaysia was one of the many beneficiaries. This, the Saudis believe, would help impose their brand of conservative Islam popularly referred to as Wahhabism or Salafism within their area of influence, including Malaysia. In the 1980s and 1990s many Malaysians, especially Malay Muslims, went overseas for higher education. Due to the interest in Islam, many headed to the Middle East especially Saudi Arabia, Jordan and Egypt to pursue religious studies. This was made possible by the generous scholarships offered by the Saudi Arabian government. Over there they were exposed to the Wahhabi/Salafist way of thinking and practices. The “Arabisation” of Malay Muslims has accelerated over the years. Today “uncovered” women are a rarity. And if you do meet them they are among the few who dare to be different. To the diehard believers, this phenomenon is the result of the proliferation liberalism that corrodes their way of life. The traditional yet alluring kebaya modern, the choice dress of my mother and aunties in the 1950s right to 1970s, had given way to the drab and soulless “tudung” and “telekung” which are designed to conceal the female figure. Why no skull cap for Anwar Ibrahim? Male members are more adept at sporting a goatee and wearing a skullcap, as this is deemed appropriate and in sync with the dress code of Wahhabis. The more Arab one looks and talks, help to improve one’s religious credentials. It is about being as close as what was witnessed in 6th century Mecca and Madinah. So “selamat pagi” becomes “assalamualaikum” and “akhirat” becomes “jannah”. It is definitely chic to lace one’s speech with some Arab-sounding words although they may mean little or nothing to both speakers and listeners. The absurdity is getting a little out of hand, I dare say. But to the adherents this is God-sent. The troubled interfaith relations prevalent today are the result of this exclusivist Wahhabi/Salafist thinking which has crept into the education curriculum and mind-set. Renowned Muslim scholars are labelled “secular” and “liberal” to keep the Muslim masses from hearing them out. Those who do not toe the line are banned from speaking out. Fatwas (religious edicts) issued are seldom explained. Questioning a fatwa is considered blasphemous. Notwithstanding the brouhaha surrounding the controversial Department of Islamic Development (JAKIM), no solutions are yet forthcoming. Funding for the department’s many questionable activities has never been accounted for. Where will all this lead us to? Your guess is as good as mine. With the emergence of Malaysia Baru (New Malaysia) this inadequacy will be addressed in due course. But looking at what’s been happening, I have my doubts. Hopefully, I will be proven wrong. Posted in Anwar Ibrahim, Iran, Islam Malaysia, Malaysia, Political Islam, Religion, Saudi Arabia, Tun Dr. Mahathir Mohamad, Wan Azizah Ismail-- Deputy Prime MInister. COMMENT | I didn’t mince my words when I sent this message to a very dear friend who is a key leader in Sarawak PKR the day he and his party comrades lodged a report at the Kuching MACC over alleged ambiguities in the Julau PKR division. “Do you know that all of you look like clowns in the media requesting the MACC to go after one of your own MPs? “What nonsense is this? You cannot even resolve a simple problem within a small division in your party and you expect us to believe that you can run the country! “Again, I say ‘paloi’ to all those fighting one another in PKR. Sorry, my friend. The majority of Malaysians are not interested in your internal party problems. They are fed up”. My friend attempted this feeble response: “So what do you expect us clowns to do? Keep quiet and let them destroy our party? It’s quite obvious that party members often do not see what is wrong within their own organisation and it takes an outsider to awaken them with the truth. So let the truth be told. Replying to my friend, I said that no one is destroying PKR from outside. It is PKR leaders themselves, due to their greed and lust for power, who are destroying the party. When they have power, they cannot handle it. I’ve just viewed the video of the fracas in Keningau in which PKR Deputy presidential candidate Rafizi Ramli was allegedly assaulted. It should have been a typical BN vs Pakatan Harapan scene during an election. Now, it’s a PKR vs PKR brawl. How sickening is that? Many of us are probably aware that a top PKR leader is a notable schemer. He has been scheming throughout his long political career. At times, one wonders whether his political enemies only exist in his imagination. Such a leader who frequently indulges in shadow boxing is unfit to lead any organisation, let alone the nation. What is happening in PKR today has greatly disappointed Malaysians. PKR emerged as the biggest party in the Harapan coalition after GE-14 because of the support of Malaysians who wanted change. All the Harapan candidates who contested under the PKR symbol (except in Sarawak and Sabah) had greatly helped the party gained prominence too. PKR leaders should do well to bear that in mind. A few months later, PKR turned out to be one big mess, a party which has lost the respect of many, mine certainly. The ongoing party polls are getting messier and dirtier with the police and MACC now involved. This makes the UMNO elections, with the alleged involvement of money politics, pale into a fight among kindergarten kids. No one, perhaps not even the PKR leadership, expected the party elections to turn out this way – one gigantic mess which could split the party right down the middle. And we were told earlier that a party election is normal and part of the democratic process and that this would be a friendly contest within the family. Haven’t we heard enough of such crap from politicians? I’ have posed this before in a previous article, so let me repeat it to the warring factions in PKR: Are you all happy to see either Azmin or Rafizi destroyed politically or would you be happier to see them working together and contributing positively for the betterment of the nation and people? At this stage of the game, I predict a victory for Azmin. I also foresee more internal strife and bigger problems for PKR in the weeks and months down the road. And one more thing – I also think it’s okay for Prime Minister Dr Mahathir Mohamad to renege on his promises by saying, “Oh, when I said it, I didn’t know we were going to win the elections”. So PKR, don’t say you have not been warned. The people are watching. Posted in Anwar Ibrahim, civil society issues, Corruption, GE-14 Malaysian General Election, Governance, Leadership, Malaysiakini, Pakatan Harapan, PKR, Politics, Wan Azizah Ismail-- Deputy Prime MInister.